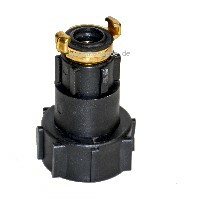 The popular Gardena connectors are available in hardware stores in countless variations and made of plastic. We believe: you should use better material in the rough environment of garden watering. 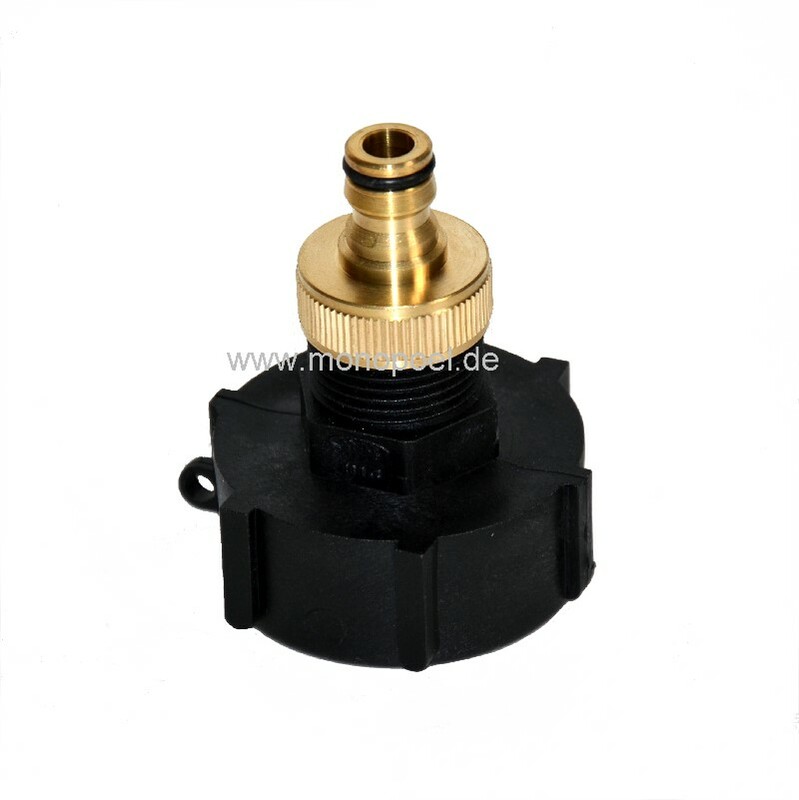 Therefore, we offer now the IBC adapter ibc-ag-1 for all IBC with S60 coarse thread (ca. 60 mm) in a heavy industrial quality combined with a Gardena connector made of solid brass . In this combination the IBC connector is extremely robust. You can mount all standard Gardena couplings made of plastic, brass, etc on this connection.